Looking for a great alternative to the kids-only hair cut mill? 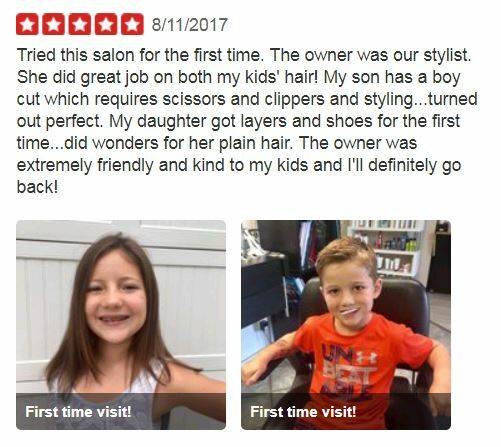 Hair Suite in Cherry Hill has been cutting kids’ hair forever! Not only are we good at cutting children’s hair, we love doing it. Bring in your little guys & gals for their next hair cut. We don’t have a play area or pony barber’s chairs but we do have experience, lollipops and a pot of fresh coffee for Mom or Dad! Hair Suite is located on the ground floor of the Sussex House Apartments on Kings Highway in Cherry Hill,, New Jersey-directly across from the Cherry Hill Library. We have been established since 2001.